The RD3 Series of Webinars contains over 110 hours of recorded webinar sessions with an elite set of Risk Doctor students studying the advanced concepts offerred by the Risk Doctor. During the two seasons covered in this series, students suggest material and discuss their own trades and position adjustments to enlighten the whole group of students. The Ri$k Doctor then expounds on each subject to give full concept explanations and understanding. Many of the sessions contain live market trades made by students in the group or individually, and tracked as the markets moved or time decayed. Cottle also shows traders how to calculate the risk on any option position, from simple puts and calls to sophisticated straddles and butterflies instantly. 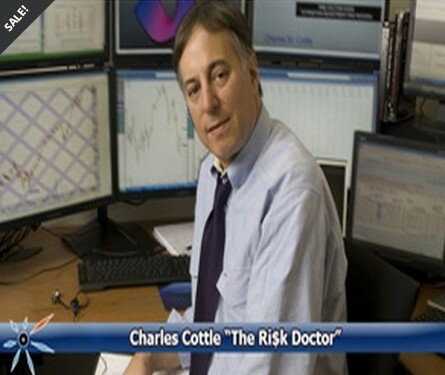 Cottle explains how to eliminate inappropriate risks, adjust positions as they underlying market changes, and optimize the potential of the option positions. No other course so effectively merges option theory with actual market experience.